We spend the day with our students, who have returned to unpack the firing that we fired together last weekend. 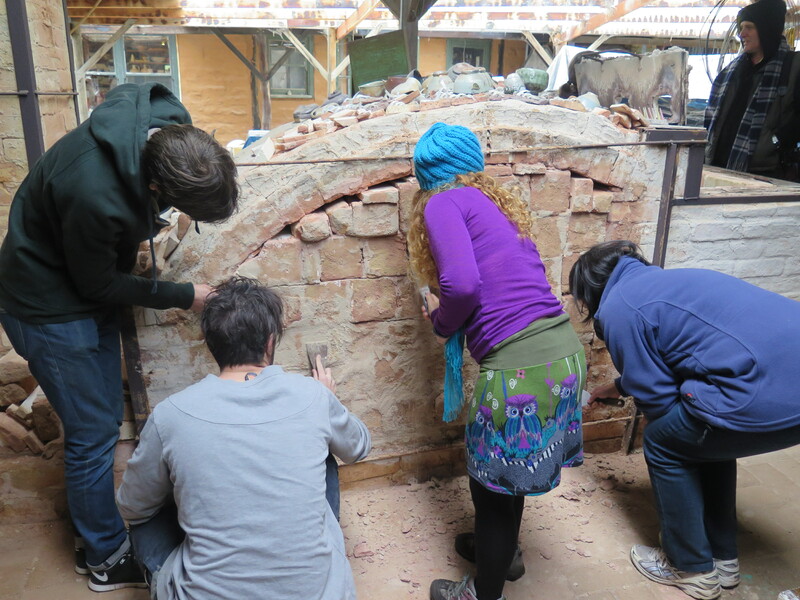 We unpack the kiln slowly and methodically, recording everything as we go. 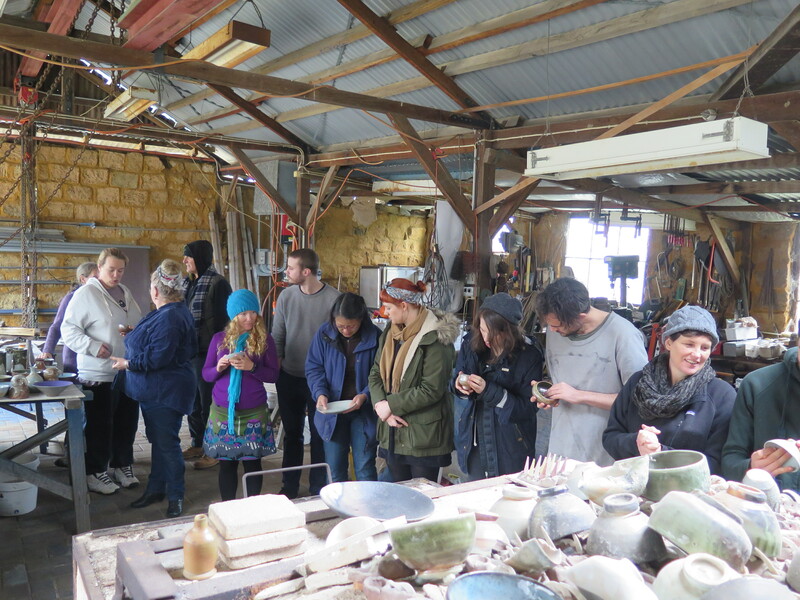 Everyone gets a chance to handle the pots as they come from the kiln. Passed down the chain and then placed on the benches in the order that they were stacked in the kiln. 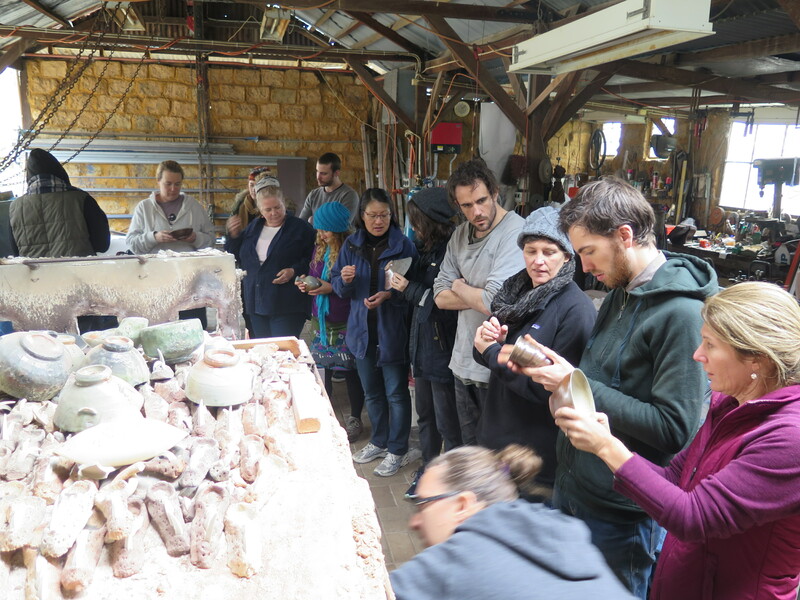 Everyone can see what went where and which effects are gained in different places in the kiln. 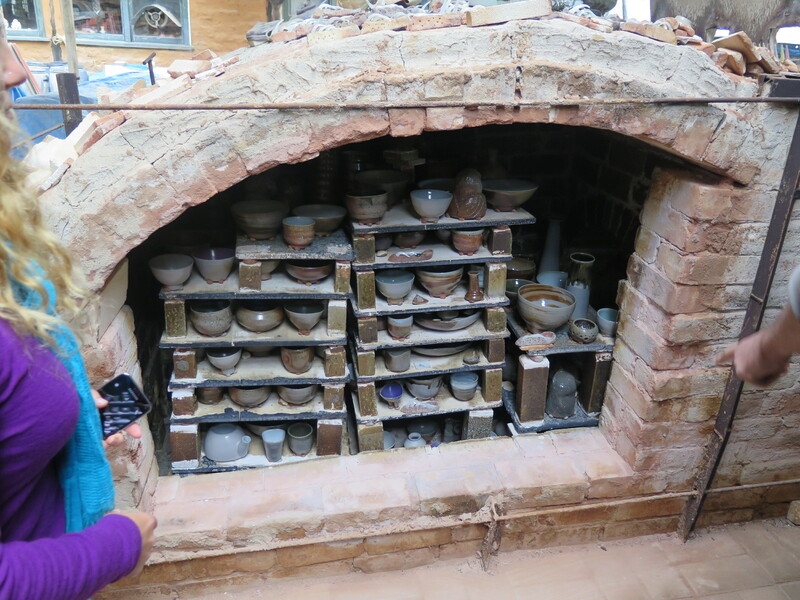 After the kiln is unpacked and the pots all cleaned and safely stored in their cars for return travel. 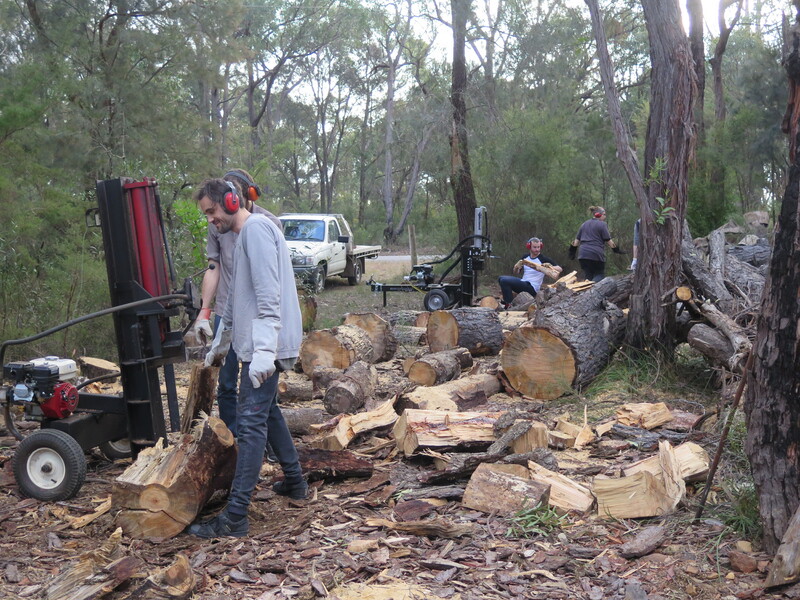 We have a quick lunch and then spend the afternoon cutting, splitting and stacking wood for the next firing. It’s great to be part of a team and a lot gets done in a short time with so many hands on deck. 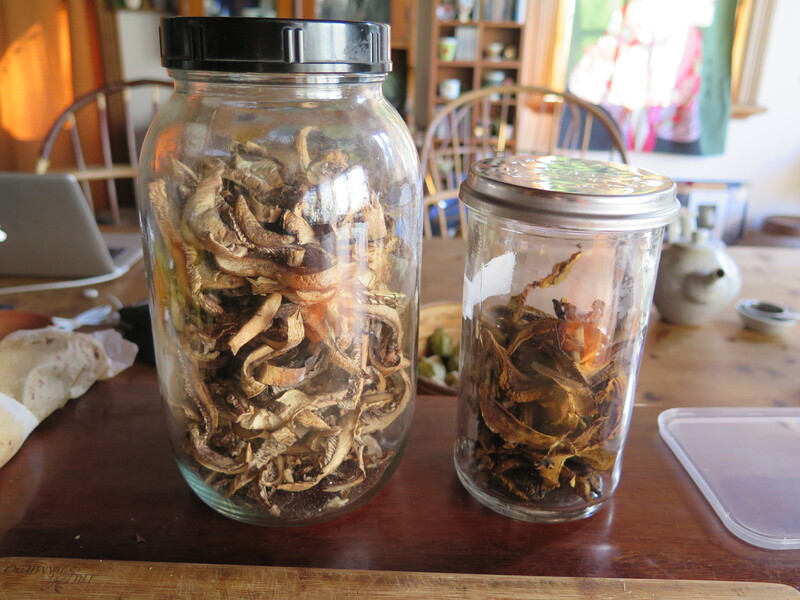 In the evening, I clear the table and start to sort and clean my haul of mushrooms. It takes a bit of time to clean them thoroughly. 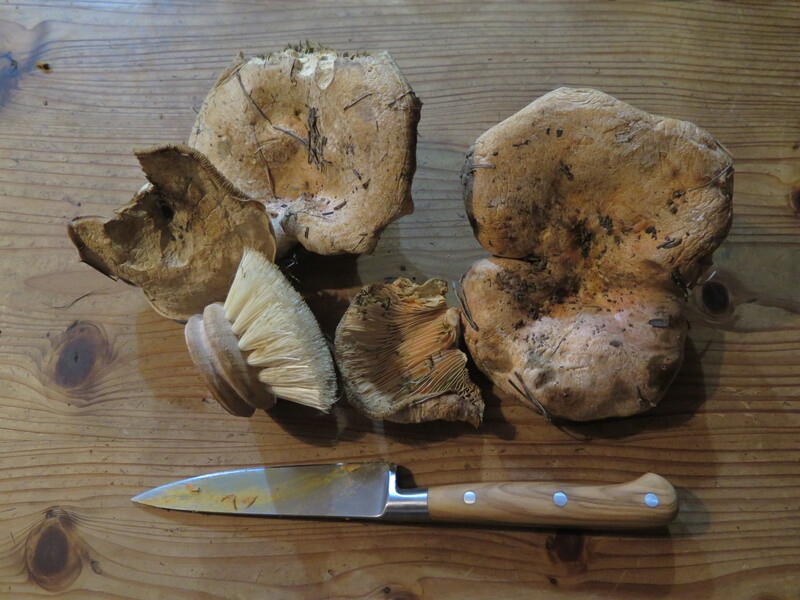 Mushrooms are quite fragile and easily damaged and because I have collected so many in this latest haul. I decide that the best way to deal with them is to slice them and dry them in the oven using all the waste heat from the fire that has cooked our dinner and heated the hot water. It has also warmed the oven as well as the room all evening. I stoke it up again a couple of times during the evening to keep the warmth coming. I only want to dry the mushrooms. I don’t want to cook them. So, I stack them on wire racks and place them in the oven with the door ajar to get a good circulation of heat and fresh air to carry the moisture away as well as keeping the oven temperature from rising to high. I work through half of my haul before its time for bed. I leave them all in the oven over-night, as the fire has died down and I’m confident that the heat is not going to be strong enough to burn them. 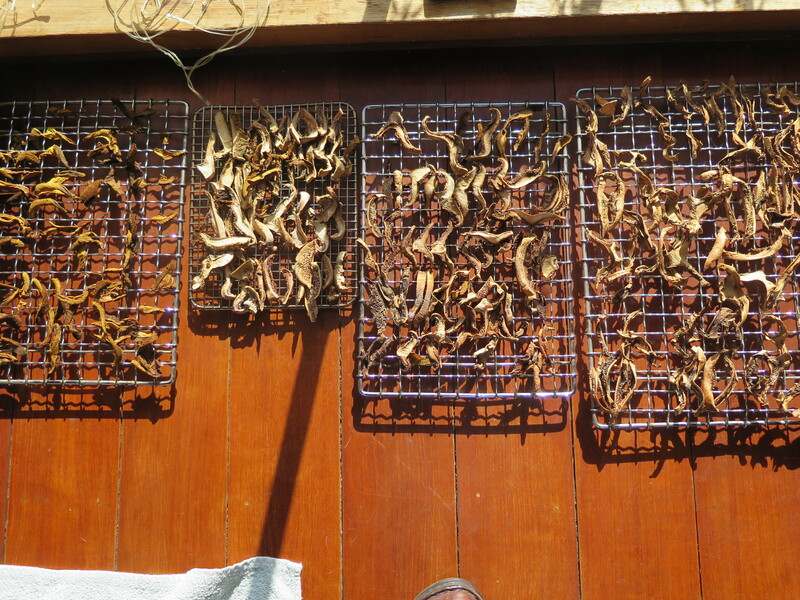 In the morning they are all shrunk and don’t they shrink down a lot in volume as they dry. I had them closely stacked on the wire racks and now they are fairly sparsely laid out on the trays. 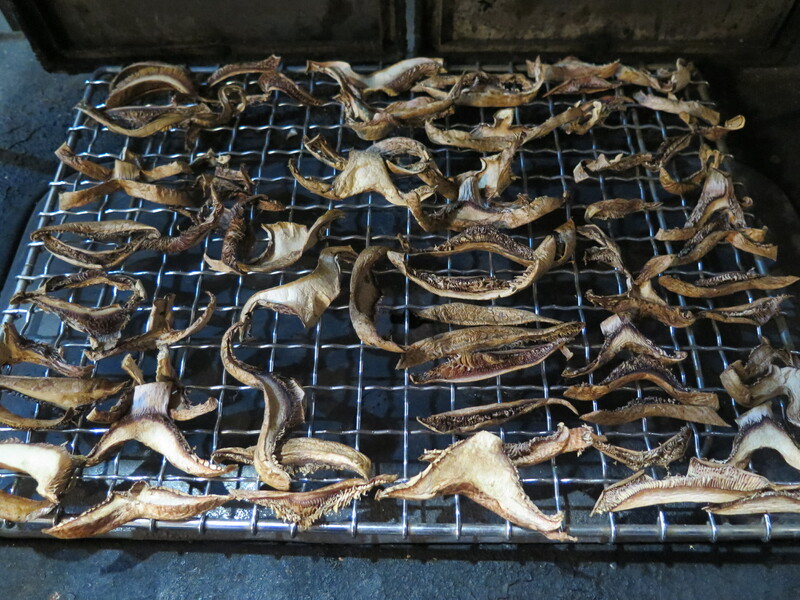 They are pretty much dry, but not crisp yet. 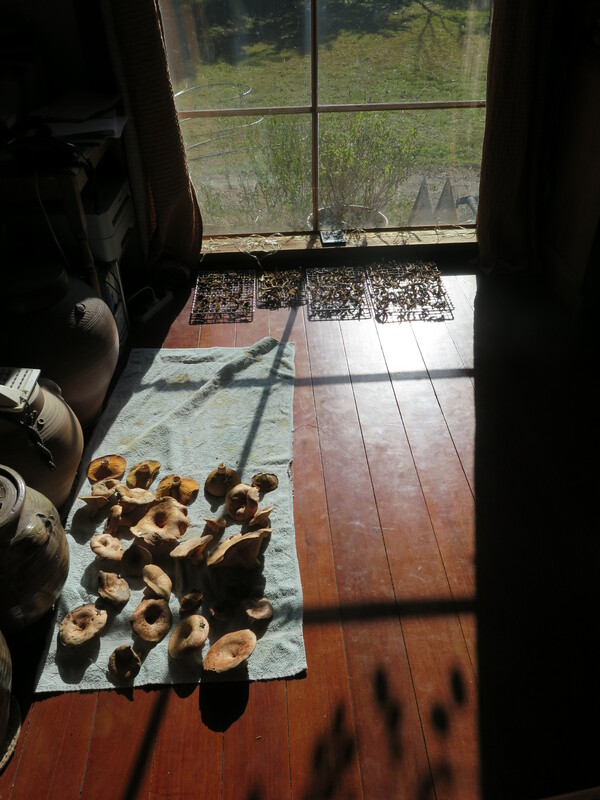 I don’t want them to go mouldy on me in the pantry cupboard, so I place them in the kitchen window to get a bit more heat during this sunny warm day, before storing them in glass jars for later use. My hard-working girl and I spend the day, cutting and splitting more of our pine logs, to get the wood stacked indoors in the wood shed before the rain comes. It is slated to rain for the rest of the week, so there is some urgency in the matter. I have a kiln job to finish off as well, but I can work on that tomorrow in the kiln factory while it is raining. Today it is time to be flexible, change plans and store firewood while the sun shines. We are both fasting today, as we always do on Mondays, unless there is a good reason not too. Cutting wood really takes it out of us in this state. We have finished burning all our carbs and are now burning fat. Maybe it’s good for us? Only time will tell. 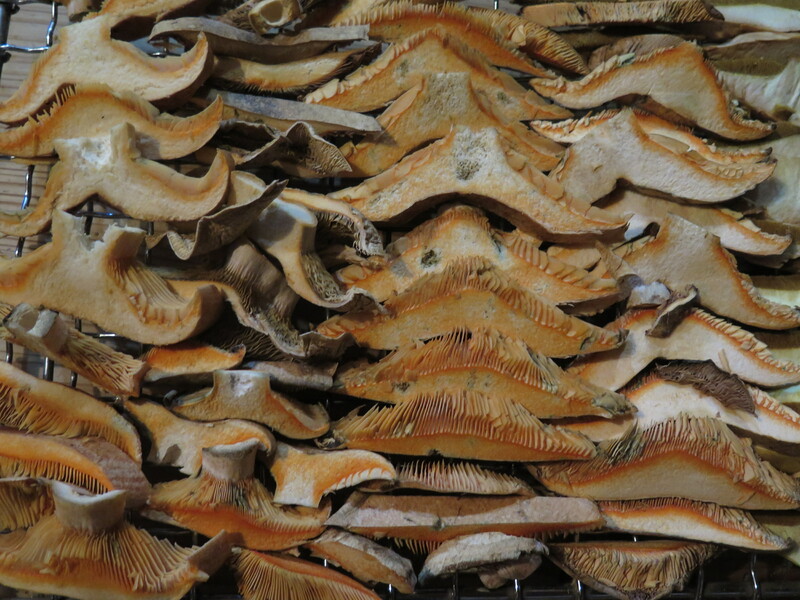 In the afternoon, all the mushrooms are toasty dry and snappy crisp sitting in the warmth of the north facing window. They snap when bent and so are ready to bottle. I will get stuck into the other half of the harvest tonight instead of watching the idiot box. I remember a few years ago, paying $14 for 10g of dried mushrooms from Italy. I suddenly realise that I have just made a few hundred dollars overnight.